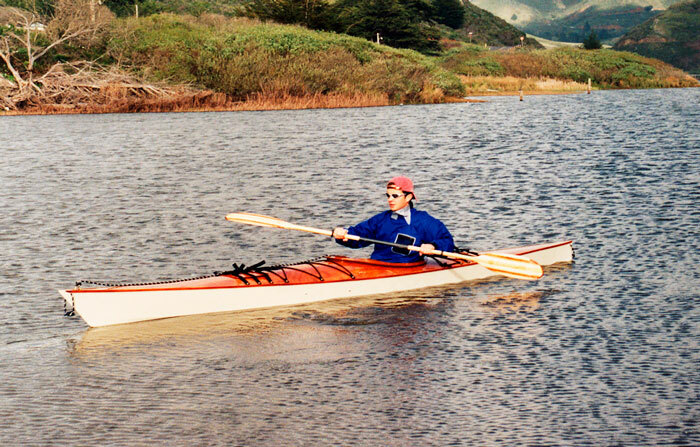 Matt Zarem used stitch-glue mahogany marine plywood to build this 16' sea kayak, SCOUT, which he launched in March of 2002. It is a CLC Chesapeake 16 design, with an overall length of 15'8" and beam of 231/4". Matt writes that it is an excellent boat for traveling around San Francisco Bay. He is already working on a 12'4" Yankee Tender using plans from WB.